The RCP64 desk top print & apply labelling machine prints self adhesive labels and applies them to a range of round products from pharmaceutical vials, bottles, containers and even syringes. The easily adjustable powered jig allows for quick changeover of product type. 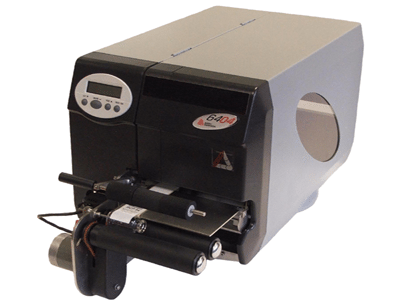 Having thermal foil save function and quick change print head, it ensures minimum downtime and maximum output replacing laborious hand labelling processes.